Four stories uncollected and five unpublished at the writer’s death . . . That’s not a bursting cupboard, compared to the dozens of uncollected stories by John Cheever, say, or the shelf of posthumous books by Charles Bukowski. In life and literature, Raymond Carver didn’t hold much back. “I’ve always squandered,” he liked to say. By coincidence, just a few months later, Stull and Carroll found the other two stories in Carver’s papers at the Ohio State University Library. One of the three stories found in Port Angeles, “Kindling,” “hark[s] back movingly to that time in 1979,” writes Gallagher, “when Ray and I began our lives together in El Paso and he made his own fresh start at writing after a ten-year bout with alcoholism.” Requiring virtually no editing beyond obvious errors (like the regularization of names and spelling), the story was published in Esquire almost immediately after its discovery—in the July 1999 issue—and it became the sixth of Carver’s stories to win an O. Henry Award. It was the middle of August and Myers was between lives. The only thing different about this time from the other times was that this time he was sober. . . . If you don't see the full story below, click here (PDF) or click here (Google Docs) to read it—free! I don't understand this story... What exactly does the author want to tell us? Work makes you feel good? Stories are to be pondered about and not necessarily understood. Myers needed a safe place to be as he transition from an old life into a brand new one... that's exactly what he was able to accomplish. Now with a bigger dose of self esteem Myers feel confident to go ahead with his life and enjoy what's presented to him perhaps he will explore the country side that he's come to admire and perhaps he will find employment and get a place of his own. He is at peace with himself. I didn't understand the ending but i do agree with the reader that said "Stories are to be pondered about and not necessarily understood." The story's deceptively simple, but when you finish reading and then re-read it again the important symbols, dialogue, and imagery stand out. The story is titled "Kindling" as in the small sticks and bits of dry wood used to start a fire. There are several allusions to "dryness" as in Myers' staying sober and free from alcohol (hence dry.. as in "this is a dry town..." no booze). Sol wants to chop the logs and turn them into kindling before the rainy season, but doesn't have the time immediately. Myers sees it as an opportunity for work, but rather than working for the reward of money, he is working for the reward of feeling calm, accomplished, and at ease after a long day of physical work. Chopping the wood gets his mind off of things, while also helping him to think clearly, doing something that is very physical but very repetitive and mindless. Whether he acknowledges it or not, though I think he does when he says "I have to get this finished before sunset or else...", finishing chopping the wood and making kindling is symbolic of Myers starting to start his new "dry" life free from alcohol. He is literally gathering kindling and keeping dry and Sol will save it to make fire for a long amount of time throughout cold seasons. Myers understands, through this physical work, that he must make "kindling" in his own life to keep him strong during "cold" times when he is feeling bad and wants to run back to the old, destructive habit of drinking. The story IS important because it's written by Carver, but mostly, I'd say, as a representation of his own struggles with alcohol and reaching sobriety. It's about the clarity of mind and spirit that comes with sticking to sobriety, and being free from the dependence of a substance. The window is left open, the air is clean, Myers packs up and leaves Sol's, seemingly prematurely, because he feels that he has achieved what he wanted to achieve there. 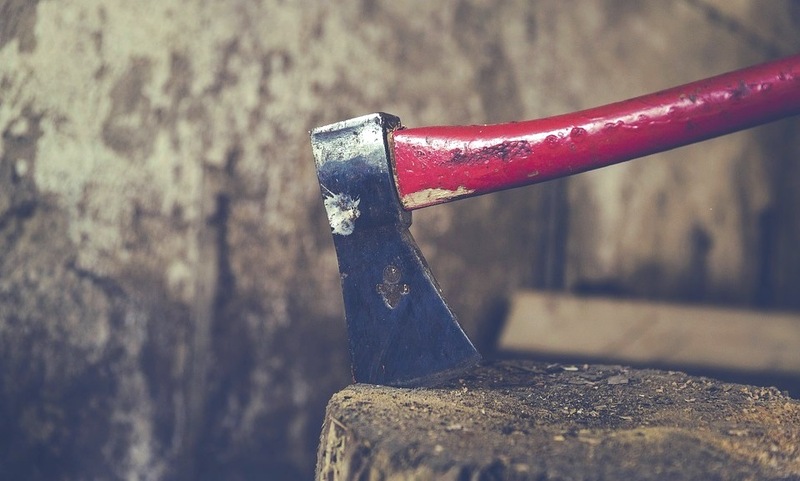 And while he didn't really achieve anything, as perceived by the reader, his finishing chopping the wood represents his finishing of the worst period of staying sober and moving further from the potential of relapse. As the first line reads: "it was the middle of august and Myers was between lives," the story "Kindling" documents his transition from one life to the other, like changing seasons. Anyway, that's what I interpreted, I could be wrong. There could be many other ways to read the story, but that is what makes it a good story, it can mean different things to different people, and no one will ever know what Carver was exactly trying to say when he wrote anyway because he's dead and cannot tell us! Thanks to the last post for illuminating the story themes. There were things I hadnt thought of in there. I think what often makes a good story is how long it stays with you after you have read it. I would say this is a very interessting short story and I feel like I have gained something from reading it.